Israeli ambassador to the UN: How many rockets have to fall on Israel before the international body will issue a condemnation? Israeli ambassador to the United Nations, Ron Prosor sent a letter on Wednesday to the UN Secretary General and the Security Council, slamming the international body’s failure to condemn the recent barrage of rocket attacks on Jewish communities in southern Israel, launched by terrorists in Gaza. "How many rockets have to fall on the children of Israel in order for the UN Security Council to issue a condemnation?" Prosor wrote in a letter sent to Secretary General Ban Ki-moon and representatives of the member states of the UN Security Council. 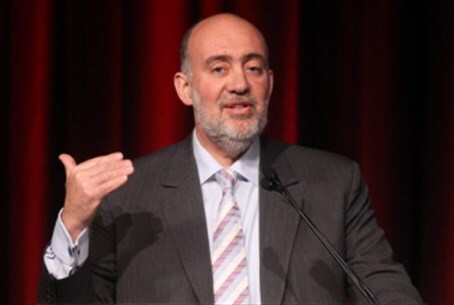 Prosor also criticized a UN report regarding the situation in Gaza. According to the recent report, Gaza may not be “a livable place” by 2020 unless intensive efforts are made to improve infrastructure and services in fields like energy, health, water and sanitation. However, while the UN continues to blame Israel for the dire situation in Gaza, Prosor asserted that it is, in fact, Hamas that bears responsibility and continues to be the real barrier to peace in the region. “The situation is clear: Hamas is responsible for the suffering in Gaza," Prosor maintained. "While Israeli children are taking refuge in shelters on their way to school, the UN occupies itself with writing inaccurate reports regarding the situation in Gaza," Prosor wrote. "The UN remains deaf and blind to the suffering of Jewish children in the south of Israel," he added. On Monday, terrorists continued to fire Kassam rockets on the area of Sderot, just minutes after students arrived for the first day of school. The attacks have become a nearly daily occurrence in southern Israel. In June, terrorists in Gaza fired more than 100 rockets at Israel within several days.